The show responsible for making the establishment cringe and run for the shadows is coming back. Ben Swann's Reality Check is back and powered by cryptocurrency. Ben Swann’s hit series “Reality Check” disappeared from the airwaves last year causing quite a stir. Conspiracy theories abounded about how he was taken out for reporting the truth when, in reality (no pun intended), he was canceled because he challenged the status quo. Over the years, Swann has helped to expose everything from the vile nature of the DEA’s war on medical cannabis to the fake Russian hacking conspiracy theory pushed by the mainstream media. Swann spoke truth to power and truth is always a threat to the establishment which will use any means necessary to silence those who expose their crimes. Swann was temporarily silenced. Now, however, he is back and it’s all thanks to cryptocurrency. It’s not just any cryptocurrency, however, it is the Dash coin. The Reality Check relaunch proposal ranks as one of the largest to date in Dash’s history. The show previously reached many millions of viewers, and Swann remains confident that similar results will be achievable with the relaunch. 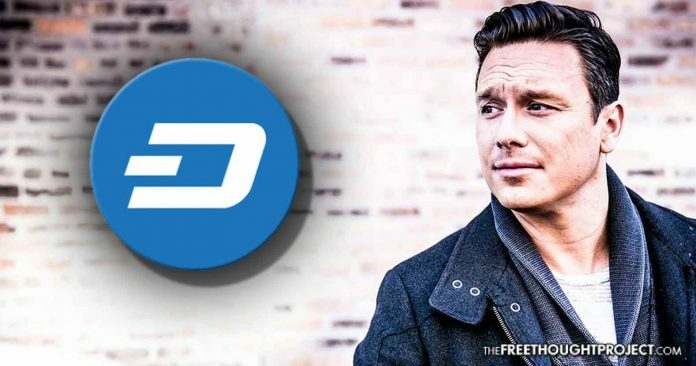 Dash will be the sole sponsor of Reality Check during this new iteration, which will include syndicated videos across other networks, as well as physical appearances by Swann and his team at several cryptocurrency and blockchain events and conferences. Additionally, Dash will serve as the sole sponsor of the Truth in Media website, including co-branded merchandise. The ability of a decentralized currency to fund an alternative media production speaks to the power of cryptocurrencies and paves the way for a bright future in spite of the government and tech giant crackdown and censorship we are seeing today. As Dash Force News points out, Dash is a decentralized autonomous organization (DAO), and because of its completely decentralized structure, anyone can participate in its ecosystem without seeking permission from any one person or group of people. Because of this, there is no centralized organization that can be intimidated into cutting funding for controversial media, but rather a broad network of thousands of anonymous investors who can fund whatever projects they see fit without fear. Using Dash to fund the operation, episodes will get massive exposure and will be uploaded to Facebook, YouTube, DTube, LBRY, Amazon Prime, Roku, embedded on Steemit and News Websites.